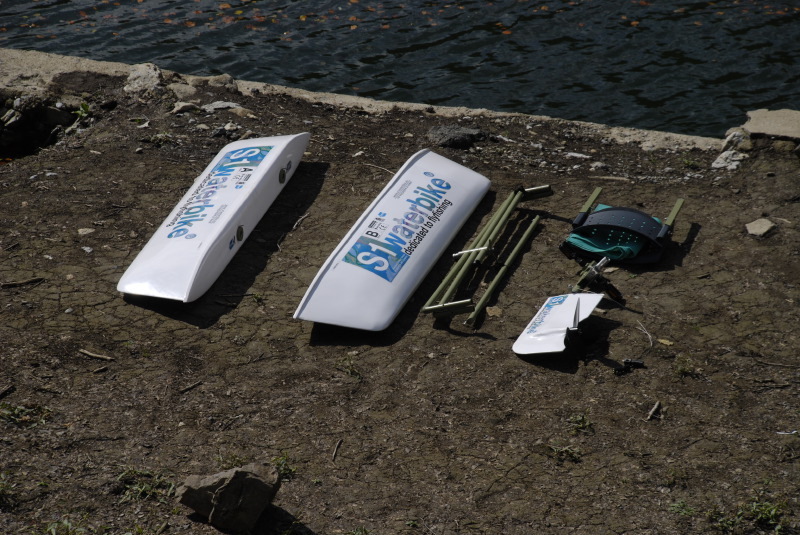 The S1 waterbike is simple to assemble and can be put together by one person in maximum three minutes. No special tools are needed. The four units and two floats weigh a total 25 kg (50 Lb)and have been specially designed to be carried over rough ground and assembled on river banks and the shores of mountain lakes. 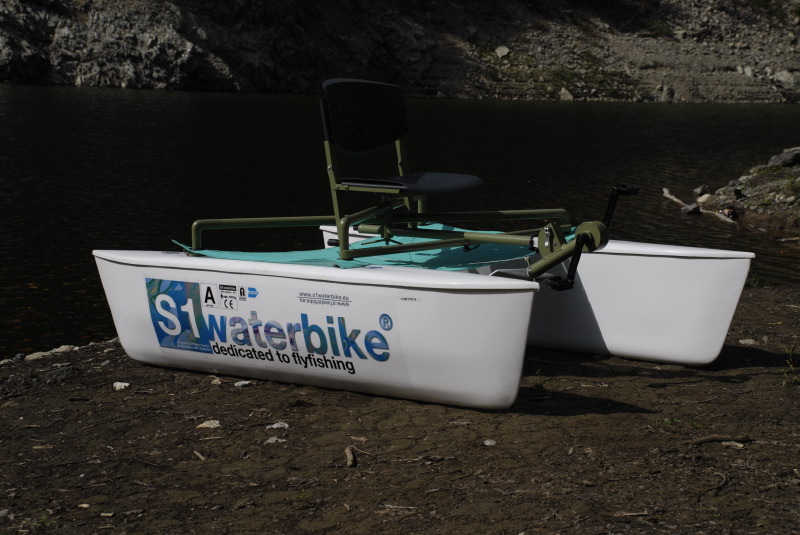 The waterbike can be launched in shallow water and the drive system can be used at depths of as little as 70 cm. The propeller and rudder can be raised to avoid damage in shallow water. Launching takes only few moments can be done on any shore, no special tools are needed.